BROWN SUGAR BOBA MILK- THE BEST & WORST I HAVE TRIED - Eunice C.
Not surprisingly, the boba tea places in Ipoh- The Alley, Chatto, Instea, Panntea, are flooded with teenagers. Perhaps I have forgotten that there are younger population (mainly teenagers) left remaining in Ipoh who probably spent their parents’ money on sipping away these diabetic-causing beverages. I was not a fan of boba tea although I have a deep penchant for tea, especially milk tea with very scanty amount of sugar. 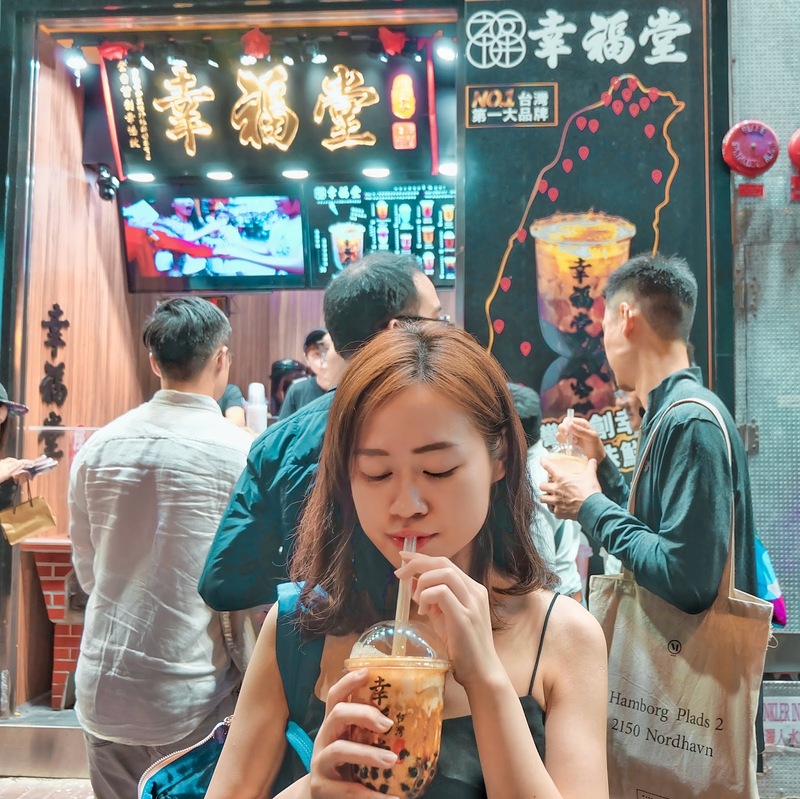 I think I was infected with the epidemic boba tea virus when I was in Hong Kong where I finally jumped on the bandwagon of this popular Taiwanese drink. I never thought I will be doing a blogpost on boba milk but ever since I took the first sip of Brown Sugar Boba Milk in Hong Kong, I was curious to find out how the other boba tea joints fare. I have already tried up to six boba tea places and I think it’s time to report my findings before I develop any signs of insulin resistance. Note that I will only be comparing Brown Sugar Boba Milk, not tea. All beverages were ordered based on their respective joints’ definition of normal sugar level. 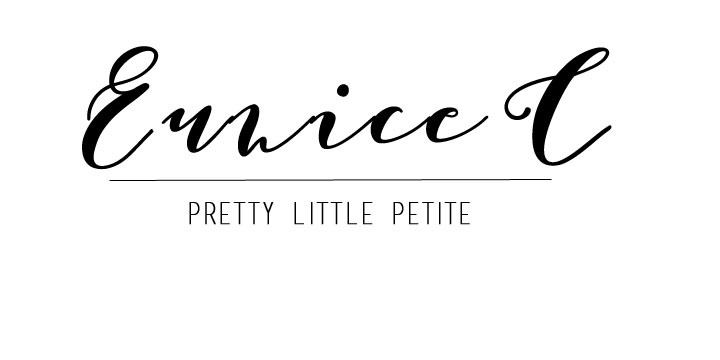 Disclaimer: The food reviews are solely based on the author's unique taste buds and her individual preferences. 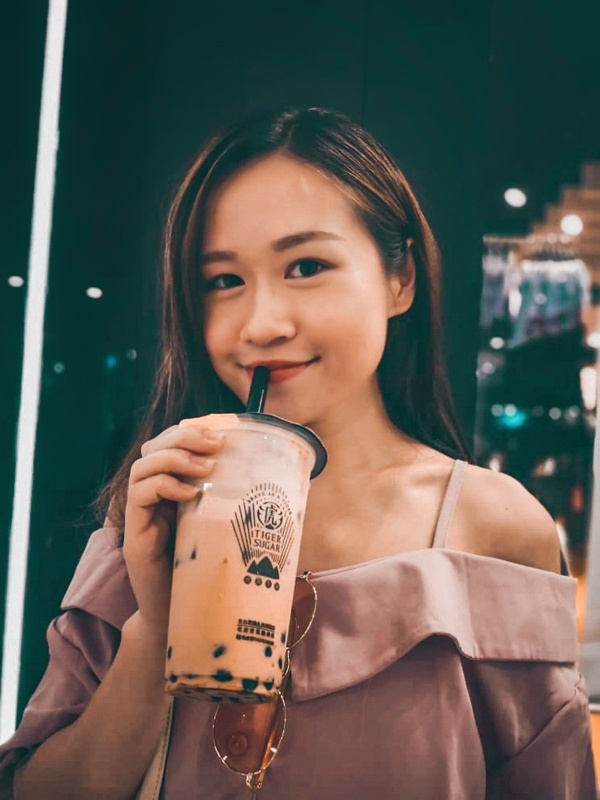 This article did not intend to discredit anyone and it should only be used as a reference for Brown Sugar Boba Milk hunting only, and not as a standard guideline. 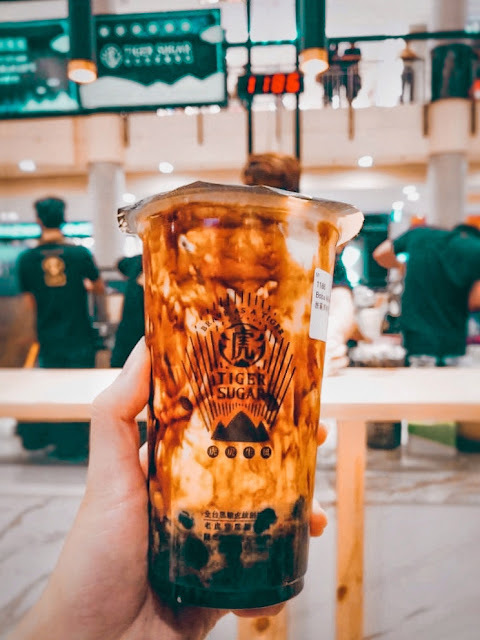 Here’s my definitive rank from the worst to best Brown Sugar Boba Milk in Malaysia I have ever tried, as of Jan 2019. Brace yourself for hyperglycemic spikes. 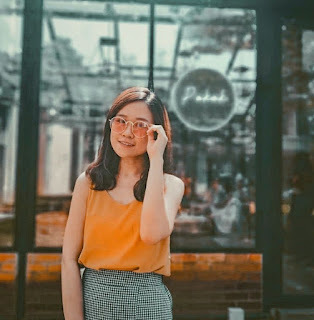 Get ready with insulin bolus shot and infusion on standby! 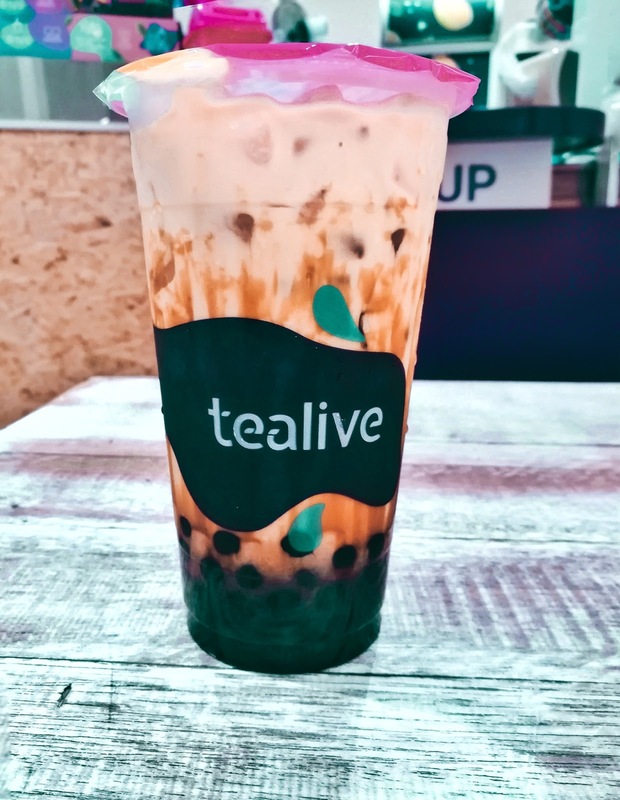 Tealive, our local bubble brand, had tried their best. It is a cheap quality and inferior version of Brown Sugar Boba Milk and an expensive version of sugar milk. I tried the Bang Bang Fresh Milk with Brown Sugar Warm Pearls and sent me to a hyperglycemic state, literally. The sugar rush was real and I remembered I have to drink plenty of water to wash away the sugar aftertaste. It was way too sweet and the pearls were thick and chewy. Sorry, Tealive for the brutal honesty. I shall probably stick back to my usual- Classic Roasted Milk Tea. Price: approx. RM11.50 for large serving. Not exactly a Bang for the buck. Address: Check various locations here. 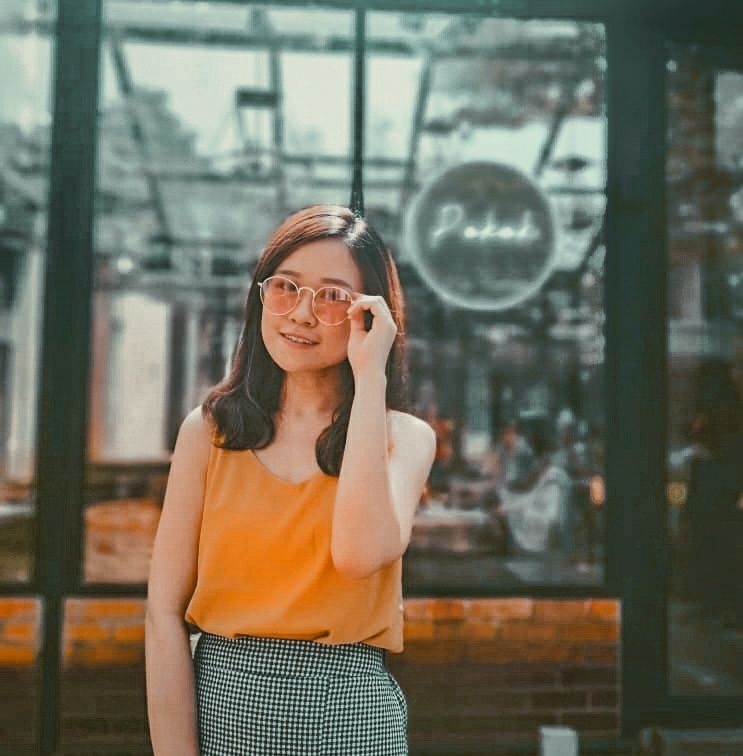 Originated from Guangzhou, Panntea has opened 30 stores worldwide, including one in Ipoh. I ordered the Brown Sugar Pearl Fresh Milk. To my disappointment, the beverage tasted bland but left an artificial sugar aftertaste. The pearls were bad too. I guess Panntea is only specialized in making refreshing fruits/tea beverages. I could not give the same review for other outlets though, as I only tried the one in Ipoh. Price: I honestly don’t remember the price but it ranged from RM12-RM15. I never knew the boba tea obsession in Malaysia was so intense, that Mögetee was fully occupied with people satisfying their sugary cravings as late as 12am. This is like a modern day bar where boba tea replaces alcohol. 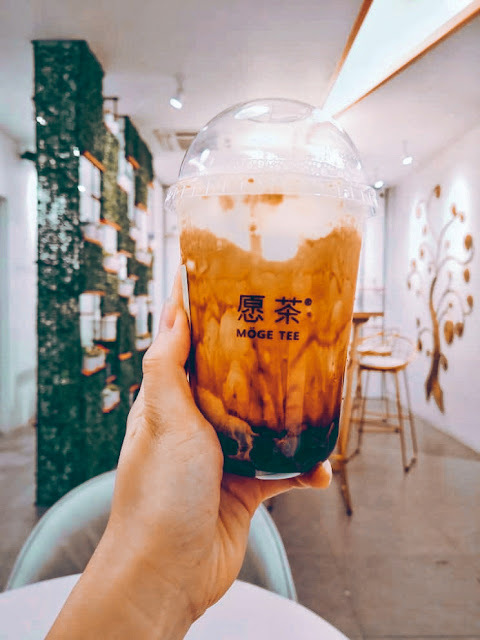 Also originated from China, Mögetee also serves Brown Sugar Boba Milk, even though their hot-selling item was the bubble flow soufflé. Mögetee has a subtle hint of caramel taste of brown sugar. However, the drink was loaded with sweetness. The sweetness tasted artificial and left an unpleasant aftertaste. The pearls were hard to chew. Just like the soufflé toppings. I had a difficult time choosing the top 3 Brown Sugar Boba Milk. All 3 beverages have distinctive qualities and sometimes overlap each other. 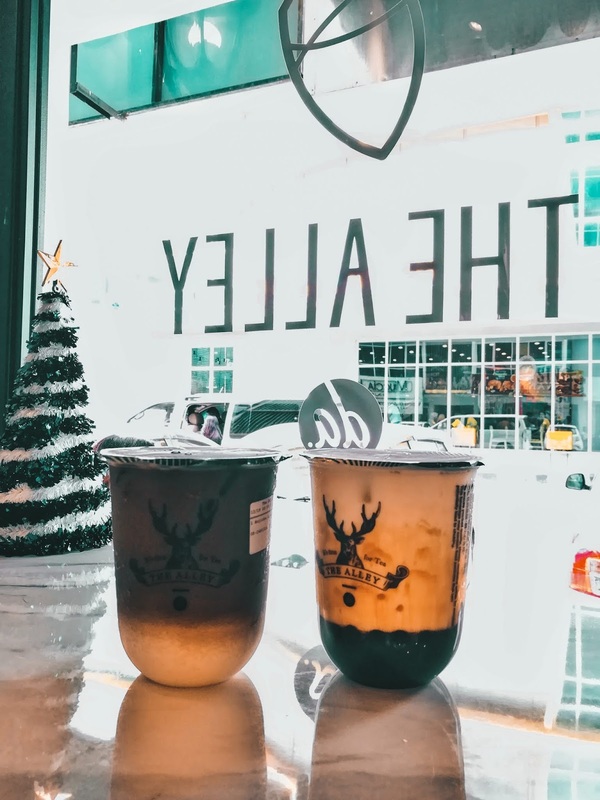 The Alley’s handmade tapioca pearls from the scratch is impressive and they even named their pearls as Deerioca. That probably explains their company emblem, a Deer. 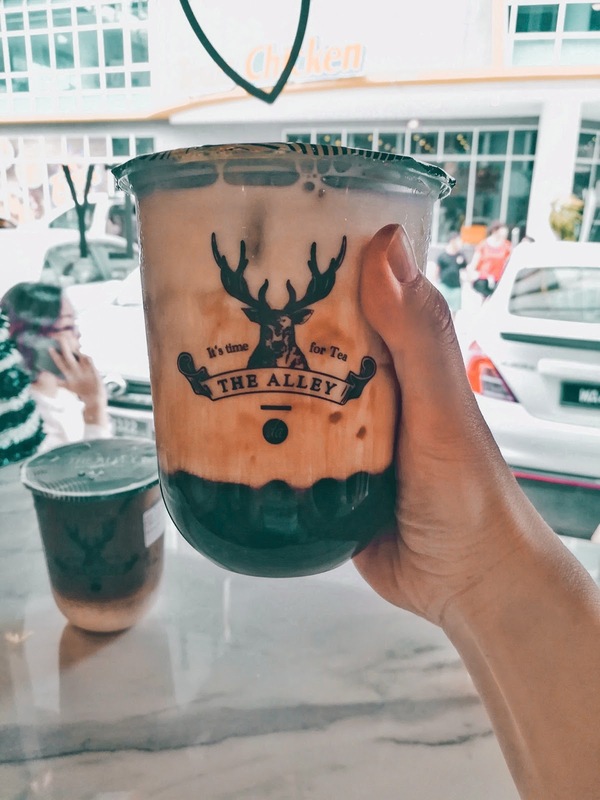 The Alley’s Brown Sugar Boba Milk is known as Brown Sugar Deerioca Milk. The Alley’s pearls are the best in Ipoh town. The pearls size are small, soft, and more delicate, making it so much fun and easier to chew. Their tapioca boba also has a subtle brown sugar flavor upon chewing. The brown sugar milk does not taste as strong and fragrant as Tiger Sugar & Xing Fu Tang, but it has a light caramelized flavor. Also another fierce Boba tea competitor, this particular joint’s spirit animal is a Tiger. Brandon and I laughed at their tagline, “Brave as a Tiger”. I can imagine their employees raised up their clenched fists enthusiastically while shouting their company’s tagline at the top of their lungs. This is definitely an Asian way of instilling motivation. Tiger Sugar is popular for their long queues across the world (although I only waited like around half an hour. Some countries had a record breaking waiting time as long as 3 hours), but does it really worth the hype? 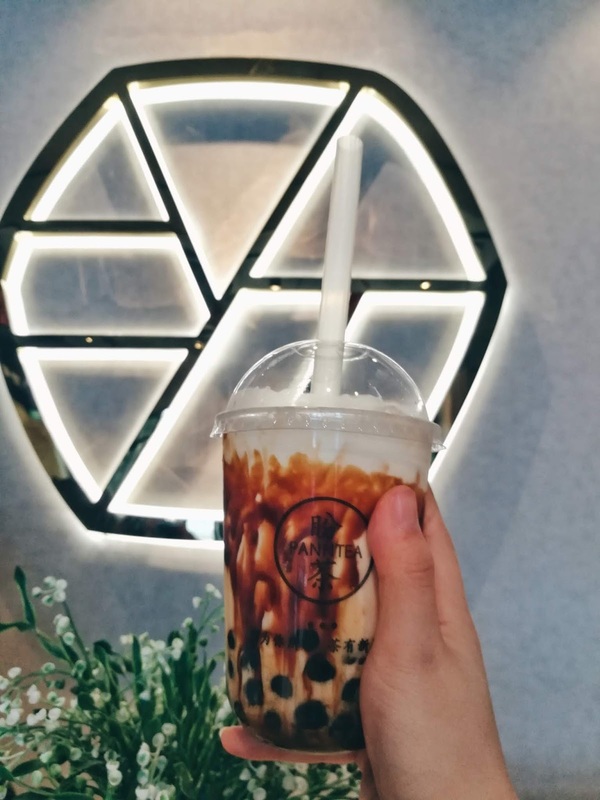 Tiger Sugar’s signature drink is the Brown Sugar Boba Milk Cream Mousse. There is another version without the mousse if you prefer a lighter and less creamy serving. Upon collection my drink at the counter, you will be instructed to shake specifically 15 times (not 16 times) after you had taken a picture of the drink. And it is ready to serve. Tiger Sugar has more distinctive caramelized brown sugar flavor. The sweet caramel fragrance was so strong and pleasant that I can get a whiff of it from far. This definitely helps if you have a difficult time searching for its location in Sunway Pyramid. The milk has a thicker consistency because of the cream mousse. However, the pearls are quite chewy and big although they were infused with brown sugar. Xing Fu Tang was the reason why I changed my perception on boba tea, when I first tried in Hong Kong. You may read my HK food post here. My first boba tea was Koi when I visited Singapore many years ago, and I never like pearls ever since. My drinks were normally plain without toppings. 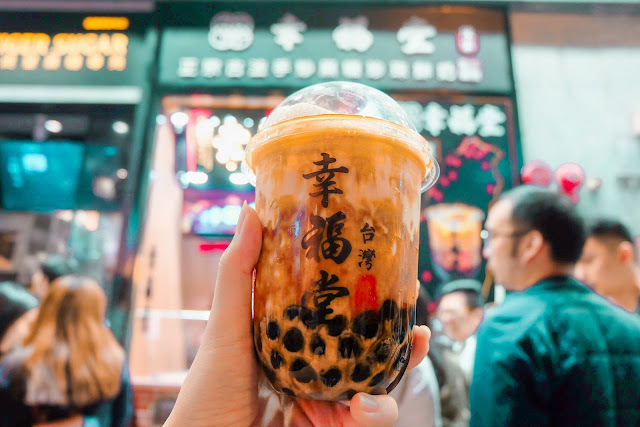 XFT also claimed to be the First and Original Taiwanese Stir-fried Brown Sugar Bubble Milk Tea, like all the other Taiwanese establishments. But who is telling the truth? Well, my verdict is out. XFT is a combination of Tiger Sugar’s fragrant caramelized brown sugar flavour and The Alley’s handcrafted pearls. No kidding, they actually stir-fried the brown sugar right in front of us on the street. An employee was cooking and continuously stirring the brown sugar in a wok. Guess that’s where the wok hei comes from. Good news is, Xing Fu Tang is finally coming to Malaysia! It will be in March this year, according to their FB page. Which is your favourite Brown Sugar Boba Milk? Let me know in the comment section below! Meanwhile, I need to go to a Boba Tea Anonymous meeting or Boba Tea Rehab Centre to stop my addiction and flush out the sugar from my system.